On Monday, we spent the day with the team from MediaFuel Digital Agency filming for our upcoming video series that will be airing the summer. It was a really great day and we are excited to see the final product, which will include 6 different videos that we are excited to share with out customers! 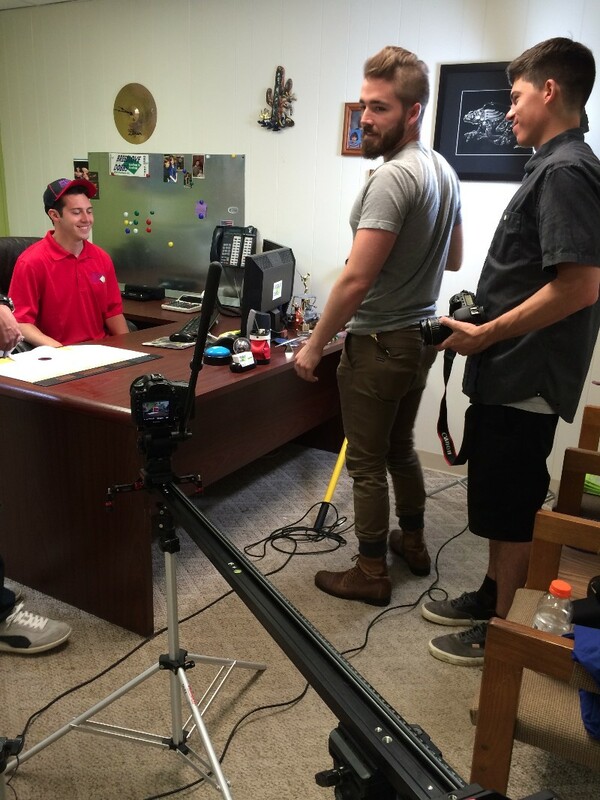 We started the day out here at our offices, where we filmed in Tom’s office. We filmed a few office scenes, and then we moved into our storage room where we had fun finding various tools, accessories, and other items to use as props throughout the shoot. After we wrapped up shooting at the Breedlove Dobbs Heating and Cooling offices, we made our way to the studio at MediaFuel where we spent about two hours shooting in their studio. 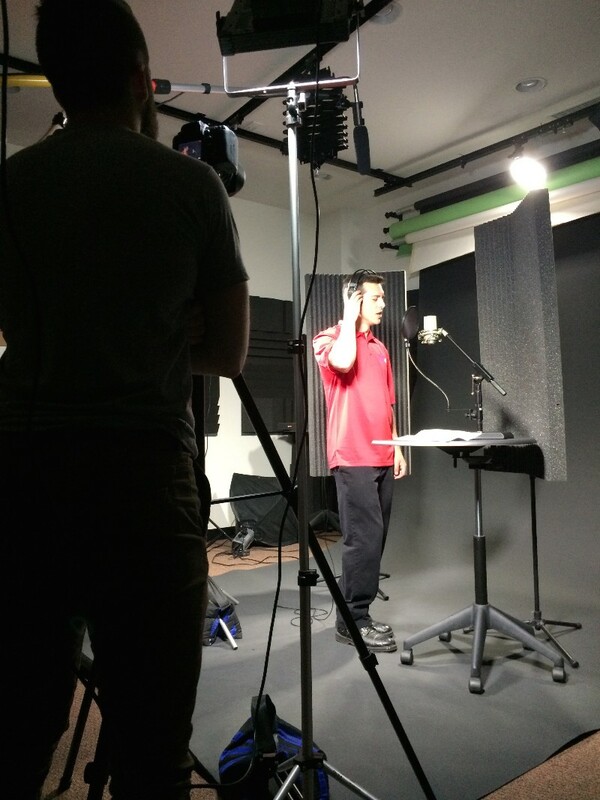 At MediaFuel we had a lot of fun as our actor did a great job singing and acting out various scenes for the videos. Once we finished shooting at MediaFuel, we quickly ate lunch and kept moving on to our third and final location. We spent the afternoon at a residential location to film the very last parts that were needed for the videos, and our actors did a great job. We thought of various other scenes that would blend in really well with the rest of the videos and decided to film them on the spot as well. 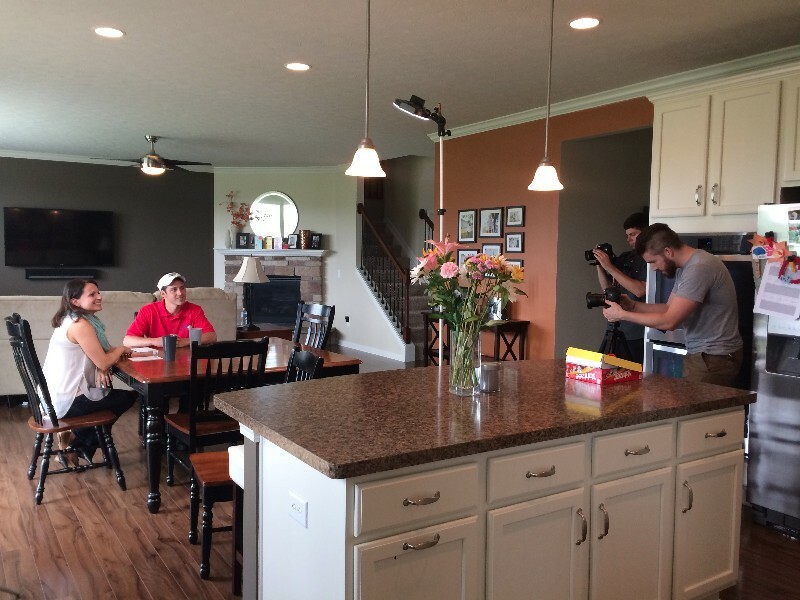 Overall, we had a great time shooting footage for our upcoming video series, and we are really excited for all of our customers to see the final product. 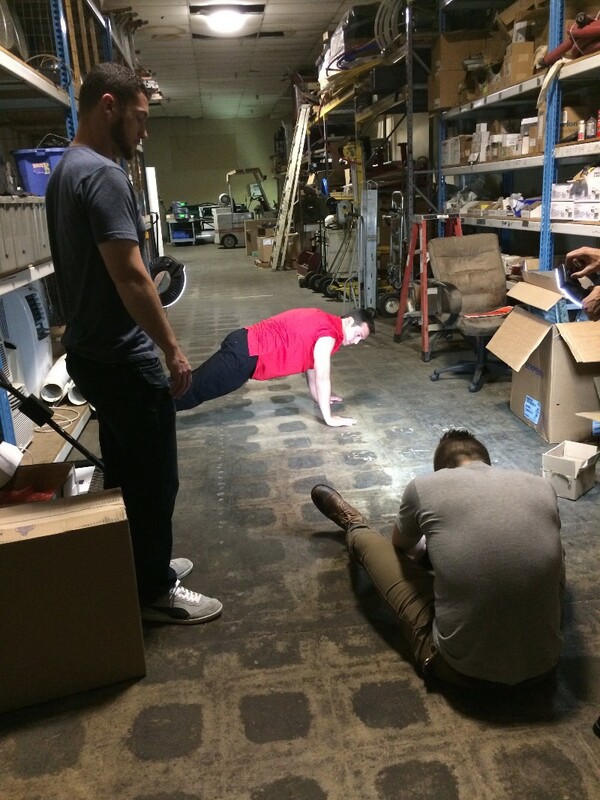 Check back to our website to see the final product which will be coming out this summer! For all of your heating and cooling needs, call Breedlove Dobbs Heating and Cooling at 317.888.9111 today, and we would be happy to send one of our certified trained technicians out to your home.